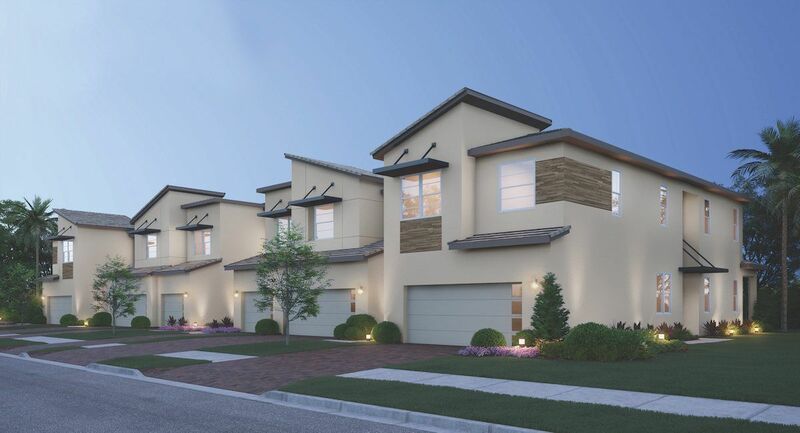 Andalucia offers a unique collection of townhomes exquisitely designed to fit the needs of today’s modern family. Choose from a selection of three perfectly appointed townhome designs with up to 2,005 total sq. ft., each boasting an attached one or two-car garage and an array of premium features including an arched covered entryway, granite countertops, stainless steel appliances and a luxurious master suite a large walk-in closets, glass-enclosed shower, double vanity and more. All homes feature a Home Intelligence System activated and supported by Amazon and voice controlled by Alexa which provides cutting-edge security, remote access and home management tools.